Each dish takes about 1 minute and a maximum of 3-4 ingredients! The week of March 15th, Treemont's Microwave Cooking Demo class featured two fun-filled recipes to make in the microwave. 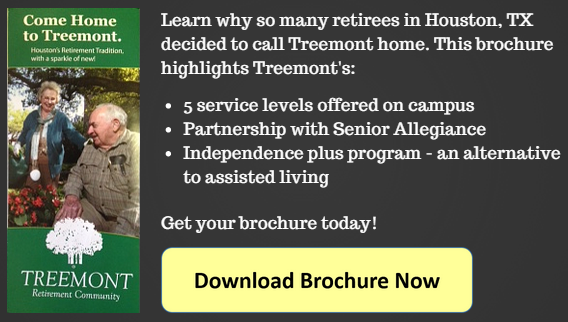 Treemont residents benefit from the cooking class. This month residents learned how to make both Pizza in a Coffee Mug and Chocolate Cake in Coffee Mug. The recipes are easy to make, with 3-4 ingredients each and just right for a little snack for those in a hurry. Click to View June 21st Microwave Cooking Class Recipes. Click to View the July 19th Chicken and Dressing Recipe. Eat without icing or top with whipped cream. 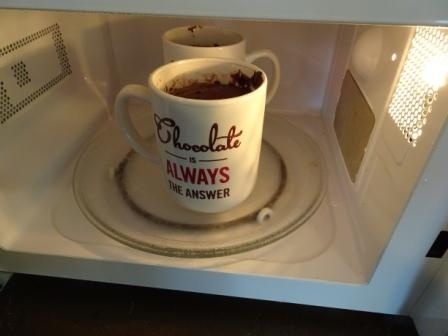 Mix flour, baking powder, baking soda & Salt together in microwavable mug. Add milk, oil and mix together. May be some lumps but that’s ok.
Spoon on Marinara sauce and spread around the surface of the batter. Sprinkle on cheese, pepperoni and dried herbs. Microwave for 1 minute and 20 seconds until it rises up and toppings are bubbling (timing based on 1200 Watt Microwave so timing may vary. 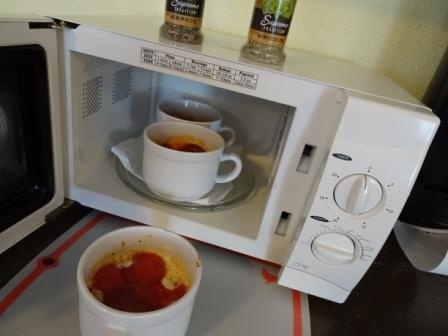 Notes: cooking time will vary depending on microwave & width & depth of mug. I use small 6 oz mugs. Always keep close eye on mug so it doesn’t overflow or overcook. ~ Red, White & Blue Jello (Stained Glass Jello). 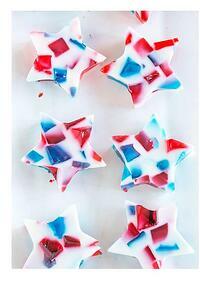 For the 4th of July, Julie is making Red, white and Blue Jello!